There have been significant advancements in telecommunication technology with a wide range of sophisticated telephone systems with incredible features available. Time of day routing enables you to route calls based on your business hours. Numerous contact centers and large organizations are now introducing cloud routing, which is a routing platform that designates certain calls to specific call centers; cloud routing eliminates the problems that come with allocating calls to multiple call centers. Improve performance, increase productivity, lower costs: business drivers that should make any business decision-maker take notice. 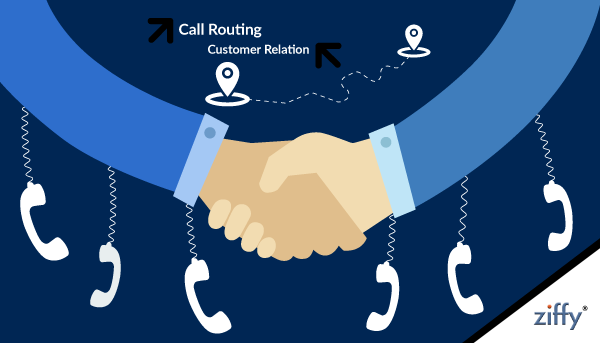 If you’re a business decision maker, you might consider taking notice of Interaction Routing, a network-based call-center routing solution that can help you improve customer sales and service with state-of-the-art multi-channel contact-center routing and reporting capabilities. Call routing takes the routing process beyond the basic caller data received through the phone lines. Instead, companies can now collect a wide range of information on their customers, from sales history to demographics that can help them with up-selling, customer retention and overall service quality. In addition to improved customer service, advanced call routing can also be used as a sales tool for up-selling the right products and services to customers that call in with questions or concerns. Call routing is a necessary evil for most customer service departments, but it does not have to be a source of frustration for your service team and your customers. With the right strategies and software, your call routing system can actually enhance your customer’s’ service experience. If you have a team of agents, calls can be directed to different team members depending on their availability. During peak hours when your office receives maximum incoming calls, the calls can be routed to hunt groups to distribute the calls evenly amongst employees present at that time of day. Time of day routing has the potential to significantly improve customer experience due to a reduction in the number of missed calls. In turn, this will boost your image and portray your business as a professional one where customers will be willing to do business with you when they know you can be reached no matter what time of the day.